Welcome to the page of Richard Lidster, a qualified piano tuner with over 7 years experience and a graduate from Lincoln College’s Piano Tuning, Repairs and Restoration course. Since qualifying in 2014, I further honed my skills working in homes, theatres, schools, churches, universities and recording studios across Yorkshire and the north of England. I’ve tuned for piano teachers, conductors, concert pianists and celebrities, working for performers as diverse as Ken Dodd and Regina Spektor. No matter what type of piano you own or what condition it is in, the chances are I’ve tuned and repaired something similar in the past. 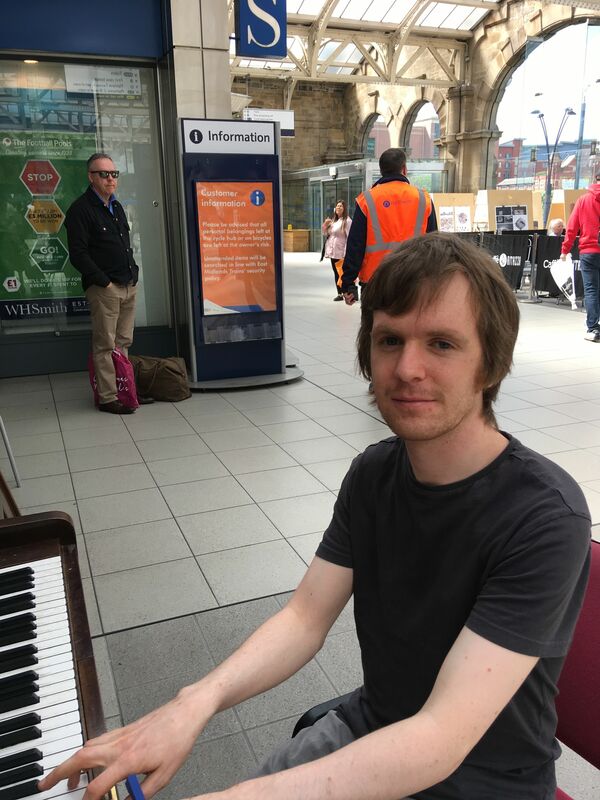 After building up a piano tuning business in Sheffield, I decided to relocate to Leeds in the Summer of 2018, splitting my time evenly between the two cities. For this reason I currently have an offer of £40 for a first piano tuning for any customer in the Leeds area – this offer also includes minor on-site repairs that can be done on the day. “Richard was prompt in response once contacted via e-mail. He provided a convenient appointment and arrived promptly. The first thing that strikes you is that he is approachable, more than willing to answer queries and very pleasant. We were expecting the worst as our music teacher indicated the piano may not be worth tuning and may be require significant repairs at best. Richard started working on it systematically and positively. He did not criticise the state of the piano as some previous tuners did in their condescending and patronising way. He worked hard for almost two hours and gave us the verdict that it was a good piano that will keep going with regular support. He identified a couple of faults but was not rushing to “make business”, indicating they won’t influence the piano’s performance and can be attended to during future visits. One additional huge bonus is that Richard does not mind travelling which makes him especially approachable and flexible. We will definitely recommend him and indeed took a couple of his cards to share with our music teacher and the school. “‘Richard is very professional and thorough in his approach to piano tuning. He restored my ageing piano to concert pitch after it had been moved, banged around by children and generally neglected for a number of years. I can recommend him without reservation.’ – Jan Smith, Sheffield. – Richard, Piano Tuner Leeds.